For Sabic Polymers Automotive we are looking for a Senior Account Manager Automotive Germany (Dusseldorf and/or home office based). 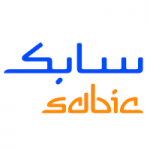 The Account Manager is commercially responsible for growing the business within SABIC´s Automotive Segment located out of Germany. You are responsible to identify, develop and close new business opportunities at Accounts, OEMs and related TIER1s within the Automotive Segment. In this role you need to find a good balance between strategic customer approach and short-term goals. You should develop a good relationship within all hierarchy levels at direct customers, converters, at specifiers (OEMs) and within SABIC. For this, you will be reporting into the Sr. Manager, Automotive Sales Europe and work closely together with other departments like Marketing and MDTS. Drive profitable growth and share expansion within the assigned (customer) portfolio/territory. Represents all aspects of the company’s business and is a conduit of information for interfaces for the assigned customer(s)  including all contractual and commercial arrangements. Develop relationships at many levels within the customers’ organization. Responsible to bring Voice of Customer to SABIC-IP Product Marketing Team to better identify New Product Introduction (NPI) opportunities that enable the application development process. Work across boarder: many customers have investments in neighbouring. Work in close contact with support functions (SC, CC, finance, segment coordinator) to optimize service to the customer and profitability of the company. Are willing to travel (>60%). To strike the right balance and performance we are looking for candidates who bring diversity to the team. At SABIC we offer market-competitive pay, a pension-scheme and for this particular position a company car. For more information about this role you can contact Laura Deckers (Corporate Recruiter). Important notice: please be informed that a reference check, an employment verification and E-assessment is be part of our recruitment process. A Certificate of Good Conduct can be requested depending the level of the role in our organization and/or function, allowing us to request depending on local regulations. Responses from employment agencies will not be considered.